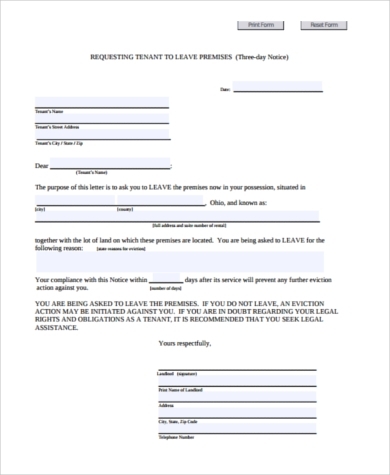 Notice Forms are documents announcing a party’s intention to terminate an agreement or relation to someone in a specified time. Specifically, notice forms are for tenants who have proven to be unsatisfactory with regard to paying their bills and have given you headaches. 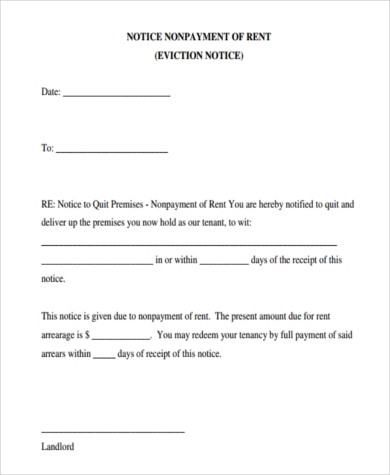 Notice Forms are a landlord’s best friend against menacing tenants with their overdue rental bills or other infractions that arise during tenancy. 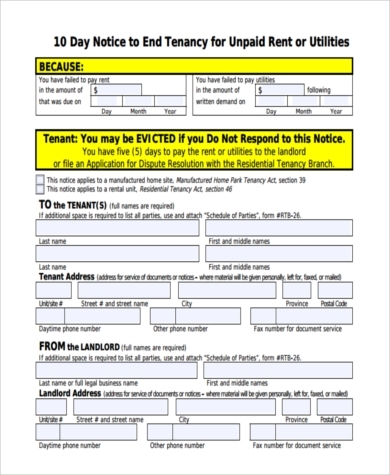 Most states would give a 30-day grace period upon the receipt of eviction notice. Through this process, you give them enough time to produce the overdue amount and look for another place to rent. 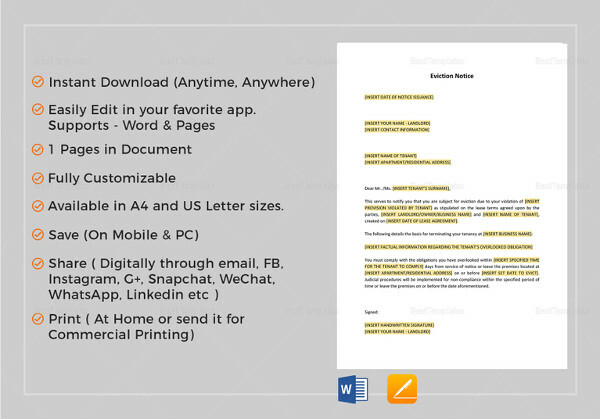 Download these Notice Forms for free in MS doc and PDF file formats. A Code of Conduct and Discipline are the cornerstones of the company to ensure a healthy and productive working environment. Rules and regulations are the ethical compass for both the management and the employees alike. On the part of the management, if an employee displays unsatisfactory behavior, it is imperative to call the attention of the employee by giving a warning of the offenses committed. An Employee Warning Notice is the appropriate action to address an employee’s misdemeanor. A warning notice should discuss the offenses committed and their corresponding sanctions to correct the unsatisfactory behavior. You may download this free Employee Warning Notice available in MS doc and PDF formats. This will help you with every disciplinary infraction you encounter. We do not have any assurance that all tenants will prove satisfactory during their tenancy period. As a landlord, it is your responsibility to terminate the agreement if your tenant proves more than a handful. 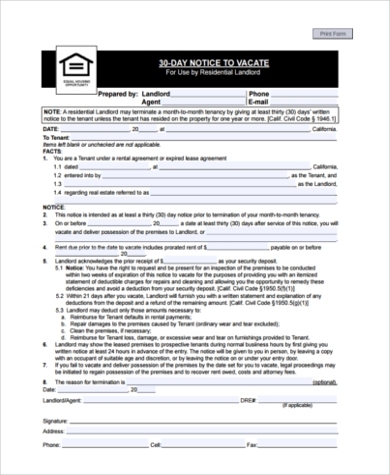 A notice to vacate is given to the tenant with a corresponding grace period to look for another place to rent and settle overdue bills. In other cases, landlords inform the tenants that the house / parcel of land will be used for another purpose. 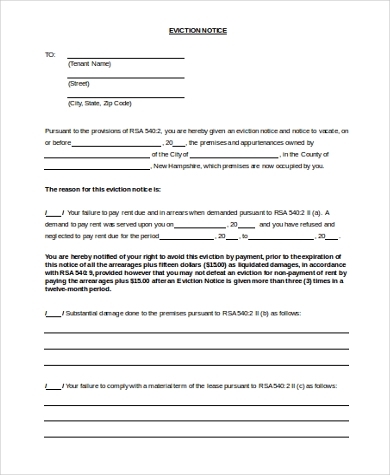 The tenant has to be notified by the landlord of the cause of the termination of agreement within the specified time and be given a 10- or 30-day grace period from the receipt thereof. 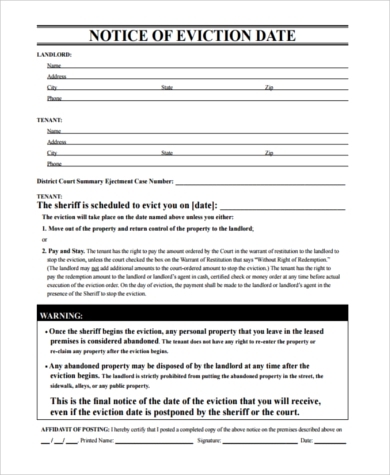 The receipt must state that the tenant acknowledges that he has been duly notified to vacate the house / parcel of land. 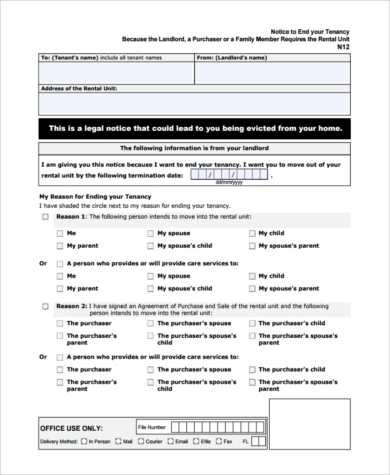 You may browse and download these Notice to Vacate Forms, which will prove useful for busy landlords. 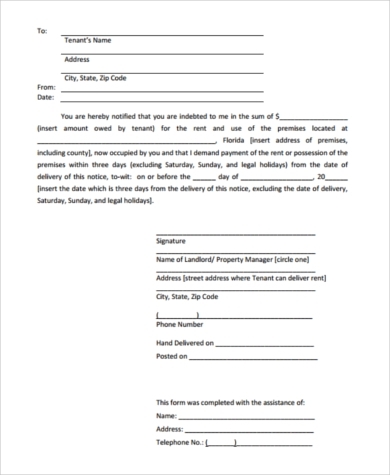 Our Notice to Vacate Forms come in a generic format all yours free to download. You can now start making your own notice forms in no time. These forms are simplified and legally formatted.